We are all too familiar with New Year’s resolutions: a new year is a new chapter and a great time for a fresh start. What better time to try to reinvent ourselves? Better yet, resolutions don’t have to be contained to just your personal life! Do you find yourself somewhat scattered during your day-to-day responsibilities? Strive to become more organized for peace of mind and you’ll also get more done! Consider investing in a planner for work tasks and meetings. Some people like to use a paper planner to make their to-do list each day and to keep track of meetings and deadlines. You can also use a Google calendar or the calendar on your phone to keep track of project deadlines, meetings and even accomplishments. Getting more organized will empower you to crush your goals! There is an incredible amount of information on the web, and technology makes it available right at our fingertips! With so many opportunities to learn new things, try learning something new every day. It will help to enhance your skills at your job and your overall knowledge too. One way to make sure you learn something new every day is to read more books. Do you have a long commute to your job? 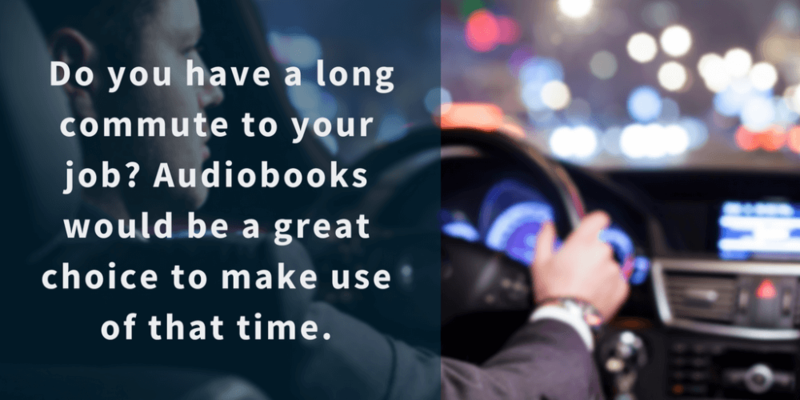 Audiobooks would be a great choice to make use of that time. Imagine what you can learn just on your 45 minute drive to and from the office! Another task to try that will enhance your skills and knowledge is to attend conferences, classes, lectures and other educational event opportunities. Check with your employer to see if they might reimburse you for an educational event that would provide value to your career. A mentor is someone who can help guide you through your career. It’s beneficial to have someone to talk to about your career choices who is not a coworker or family member because they will be able to give you an outside opinion unlike those of the ones involved. A mentor will help you grow professionally and reach your goals more effectively and it costs nothing but time. It’s always a good idea to keep your resume up-to-date. If a recruiter or other network contact reaches out to you with a job opportunity, you’ll have it ready to go! 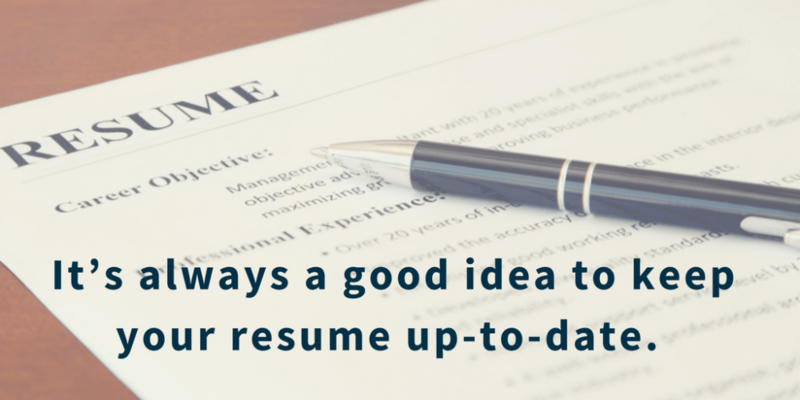 It is also easier to keep your resume updated as you go, instead of having to add all of your accomplishments at once, after the fact. 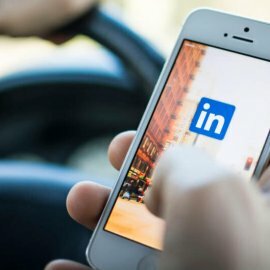 While you’re at it, it’s a good idea to keep your LinkedIn profile current as well and for the same reasons! It’s important to constantly be working on expanding your network, and not only when you are job searching. Meet people at conferences and educational events, join some new groups on LinkedIn or join a local club. Having a great network of contacts will be beneficial for your professional development and will help if you do decide to look for a new job opportunity. 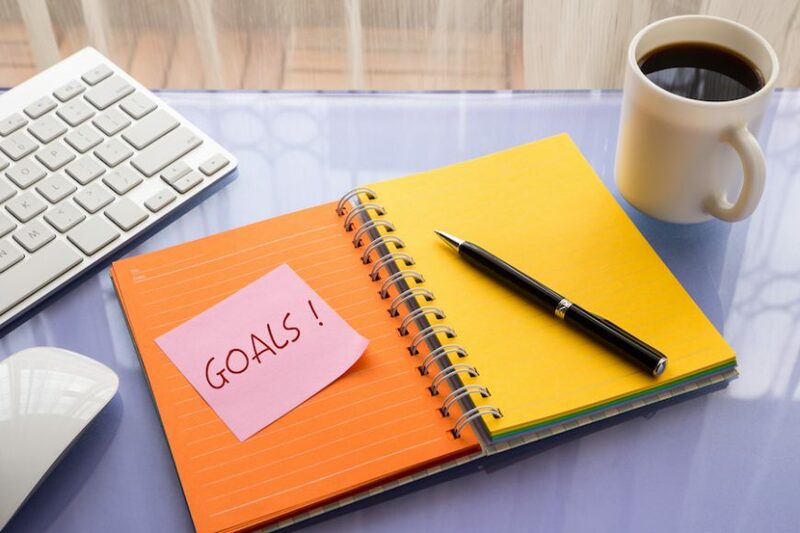 You should definitely be working on evolving your career all year round, but at the start of the new year is a great time to put those goals into motion! Keep these resolutions in mind as January approaches. What is your career resolution going to be? If it involves pursuing a dream job, check out our free e-book and gain your career independence!